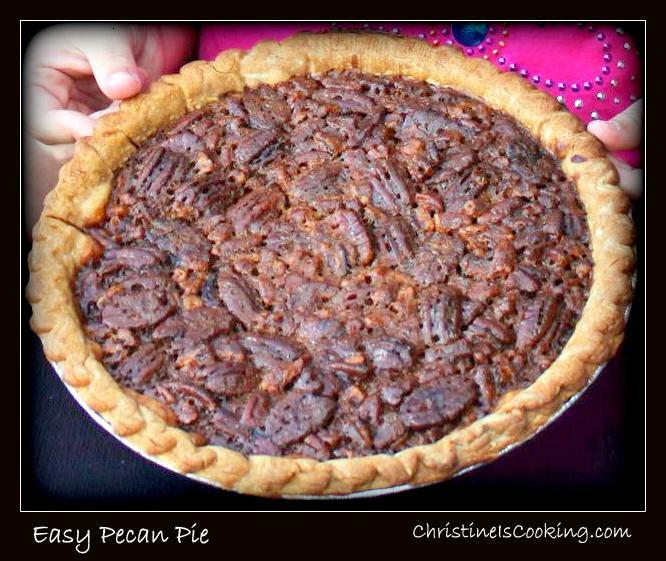 This is an easy traditional pecan pie recipe. By easy I mean...my 7 year old proudly made this pie all by herself start to finish. It was delicious!! When served with a side of vanilla ice cream it is the ultimate! (1) Preheat oven to 350 degrees. In a medium bowl, gently beat the eggs until just mixed and then stir in the sugar, flour, corn syrup, butter and vanilla. (2) Stir in pecans and pour the mixture into the prepared pie shell. (3) Bake on your bottom oven rack for 50 minutes or until the pie filling no longer jiggles (no jiggling means the pie is done). Cool before serving (if you can wait!!). *Using near room temp eggs and baking on the bottom rack allows the pie to fully cook in time without burning the crust.